Can you explain why Pi is showing up there? ANSWER: No. I have come to believe that Pi is strangely the key to all knowledge upon which the entire universe was constructed. The sun’s light takes about 8.6 minutes to reach the Earth after it has been emitted from the sun’s surface. 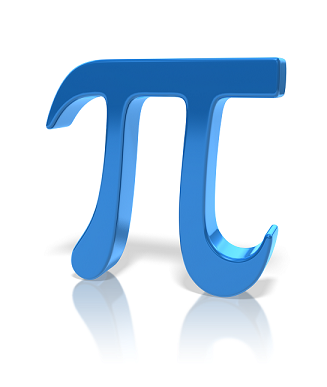 This is a derivative of Pi. Does that mean that life will evolve on a planet that conforms to Pi? It is assumed that it takes our galaxy approximately about 230 million years to make one complete orbit around the Milky Way! I suspect it is really 224 million years and that would comport with Pi. On a basic level, Pi seems very simple for it is the ratio of a circle’s circumference divided by its diameter. This ratio is always the same no matter how large the circle (orbit) – 3.14 or so. Obviously, anytime you find yourself working with circles, arcs, pendulums, etc. you find Pi popping up. Therefore, you will be confronted with Pi when looking at gears, spherical helium balloons, and pendulum clocks. However, as this illustration exposes, you also find Pi in many unexpected places for reasons that seem to have nothing at all to do with circles at all. Pi even shows up in the gravity. (see Wired). I have discovered that Pi shows up in economics as well as nature. I can only explain that it exists on all planes within this universe. It appears to be the cornerstone upon which everything in the universe was constructed.